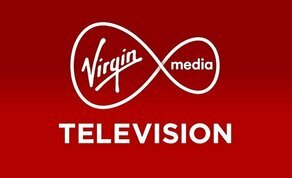 To coincide with the Virgin Media Dublin International Film Festival, Virgin Media Television will continue to support Irish film and drama, with a week of home -grown movies and feature film specials airing on Virgin Media Three from Saturday 16th February to Saturday 23rd February. Kicking off on Saturday 16th February at 9pm Virgin Media Three will air Irish box-office hit, ‘Cardboard Gangsters’. The film was the highest grossing Irish film of the year in 2017. Directed by Mark O’Connor and staring John Connors (‘Love/Hate’, ‘King of the Travellers’) in the lead role as Jay Connolly the story follows a part-time DJ and low-level drug dealer. On Sunday 17th February the 1995 classic, ‘Circle of Friends’ airs at 10.05pm followed by Domhnall Gleeson’s Irish Short ‘Noreen’ at 12.05am. ‘Noreen’ stars Domhnall’s father Brian Gleeson and the story surrounds two guards who are called to investigate a house where there has been reports of a gunshot. Then, on Monday 18th February contemporary thriller ‘Pursuit’ starring Brendan Gleeson airs at 9pm.The film is inspired by the Irish legend 'The Pursuit of Diarmuid and Grainne', a tale of love, betrayal and revenge, and the desire for a life beyond crime. ‘My Name is Emily’, starring Evanna Lynch airs on Tuesday 19th at 9pm. On her 16th birthday, Emily escapes from her foster home and with the help of Arden, the boy who loves her; she sets out to find her father Robert, a visionary writer locked up in a psychiatric institution. On Wednesday 20th February, ‘Marian Keyes’ Watermelon’ will air at 9pm. The Irish classic starring Anna Friel is the funny story of what happens when a tangled web of deceit pitches one woman, two men and a baby into a romantic minefield. Irish up and coming star, Barry Keoghan stars in ‘Mammal’ on Thursday 21st at 9pm. Following the loss of her teenage son, Margaret, a separated woman living alone in Dublin, develops an unorthodox relationship with Joe, a homeless youth. Their tentative trust is threatened by his involvement with a violent gang and the escalation of her ex-husband's grieving rage. On Friday 22nd, Pat Shortt’s comedy, ‘Man About Dog’ airs at 9pm. The comedy classic is set in the world of greyhound racing in which three Belfast losers (Mo Chara, Scud Murphy and Cereberal Paulsy) try to take on the bookies with no money and a greyhound that runs only when it suits him. Darren Thornton’s award winning directorial debut, 'A Date For Mad Mary' will air on Saturday, February 23rd at 9pm. The film tells the story of “Mad” Mary McArdle (Seána Kerslake) returning to her small Irish home town after a short spell in prison- for something she’d rather forget. But everything and everyone seems different. Her best friend Charlene (Charleigh Bailey), is about to get married and Mary is maid of honor. When Charlene refuses Mary a “plus one” on the grounds that she probably couldn’t find a date, Mary becomes determined to prove her wrong. Her attempts at dating are a disaster and she winds up feeling more alone… until she meets Jess (Tara Lee), the lesbian wedding photographer and everything changes. To finish off the week of home-gown specials, Virgin Media One will air the classic Irish movie ‘The Snapper’ on Sunday 25th February at 9pm starring Tina Kellegher, Colm Meaney and Brendan Gleeson. Tune into Virgin Media Television from Saturday 16th February to Saturday 23rd February for a week of great Irish movies and film shorts.